Adult Protective Services is made up of two sections: Reporting and Guardianship. It is the law that any person with reasonable cause to believe that a disabled person is in need of protective services must make a report to their local Human Services department. The reporter's identity is kept confidential. This law was designed to protect the increasing number of disabled adults in NC who are being abused, neglected or exploited. Call, write, or visit Human Services when you have information about a disabled adult being abused, neglected, or exploited. If you have reason to believe that an older or disabled adult has been abused, neglected or exploited, North Carolina law requires that you contact Adult Protective Services at 704-920-1400 or, after hours, the Cabarrus County Sheriff’s Office at 704-920-3000. Reporting parties are protected from civil and criminal liability. Cabarrus County Human Services Adult Guardianship Program provides services that are mandated by Chapter 35A of the N.C. General Statutes. These services are provided to individuals who have been adjudicated incompetent by the court based on their need for a guardian to assist with decision-making in an area(s) of their lives. 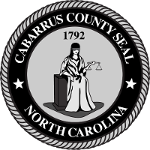 If you believe someone is unable to manage their own affairs or make their own decisions, perhaps due to injury or mental health issues or other disabilities, a petition may be filed before the Cabarrus County Clerk of Superior Court to have the person adjudicated incompetent and to have a legal guardian appointed. The individual needing services or someone acting on the individual's behalf can call the Adult Services line at 704-920-1400 to request assistance. Requests for assistance can also be made in person at DHS at 1303 S. Cannon Blvd., Kannapolis.